Indie Retro News: Timespinner - A lovely platformer with retro aesthetics is launched! Timespinner - A lovely platformer with retro aesthetics is launched! 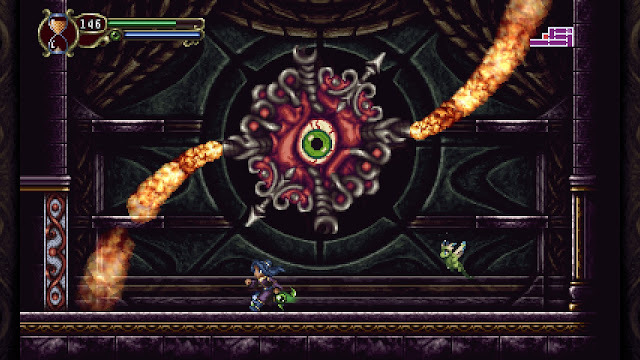 Moments ago thanks to a heads up on Facebook, we have just been told Lunar Ray Games with publishing rights by Chucklefish, has now launched their eagerly awaited action platformer game ' Timespinner ' for the PC, Mac, Linux, PS4 & PS Vita. This game which has been in our wishlist for sometime now, tells a story of murder and time travel, as playing as Lunais you control time and must take revenge on the evil Lachiem Empire who has murdered her family! Explore an intricate, connected world with beautifully drawn and detailed pixel art environments. Traverse between the barren present and luscious past of Lachiem, collecting elemental magic orbs and combining their power to destroy enemies with blades and spells. Befriend mysterious creatures called Familiars, such as the adorable dream dragon Meyef, and train them to aid you in battle. Test your skills and timing with intense boss battles, and you venture forth to take on the Emperor himself!